Fig. 2. 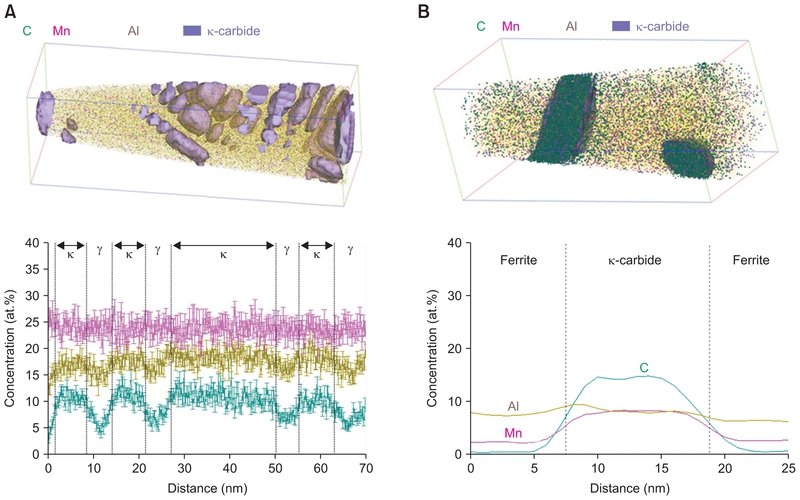 Atom maps of C, Mn and Al, and corresponding concentration profiles across matrix-carbide interfaces, taken from (A) high-Mn high-Al austenitic steels () and (B) low-Mn high-Al ferritic steels ().